This afternoon, Mayor Rob Ford will address reports about his use of drugs and alcohol, his association with alleged criminals and a video that appears to show him smoking from a crack pipe. For the past few months questions about my personal conduct have overshadowed the important business of Toronto. And while I would love to continue doing the work the people of Toronto elected me to do, the controversy surrounding these issues has made it impossible for me to do so. It is for this reason that I have made the difficult decision today to take a six week leave of absence to deal with my personal health issues, to own up to the mistakes I have made and to clear my name related to more serious allegations. Deputy Mayor Norm Kelly has offered to step in and act as mayor during my leave of absence and I would like to thank him for his support. I have misled my family. I have misled my children. I have misled my mother and my brother Councillor Doug Ford. I have misled city council and the media and the people of Toronto. I have misled my faithful supporters in Ford Nation. And for this I am deeply sorry. I can and will do better. I am eager to return to the mayor’s office and do the work the people of Toronto elected me to do. I also have a request to the news media. Please give my family some space during this difficult time. There are many questions I need to answer publicly. And over the next few months I will answer all of them. But in order to do this, I need to put my health and my family first. After this meeting, I will be meeting with the Toronto Police Service and I will do my best to honestly answer all the questions they have for me. After that I will meet with my family to make a decision together on the best way for me to deal with my personal health issues. I want to express thanks to my family, my friends and my supporters. I will now turn the rest of this radio broadcast over to Acting Mayor Norm Kelly so that the city can get back to business. I’ve been running off and on for almost 15 years. 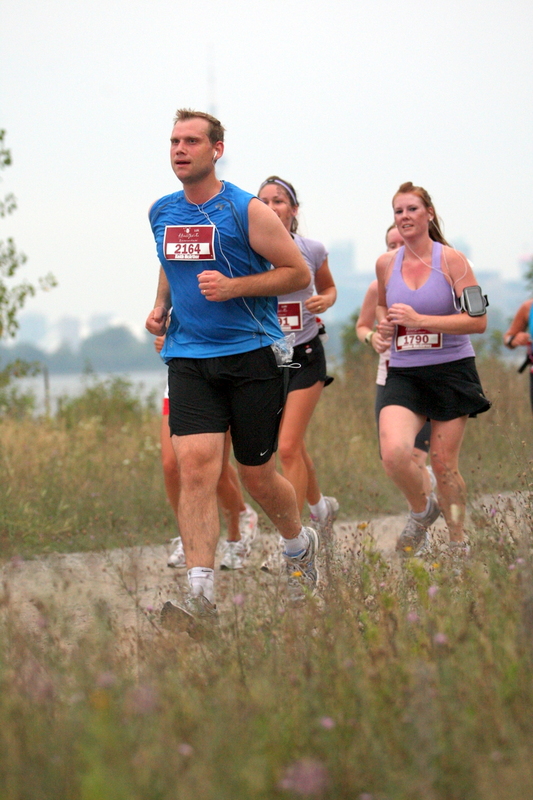 I’ve run a bunch of 5km and 10km races over the years, and even ran a half marathon about eight years ago. But with work and family responsibilities, my off-and-on running had become mostly off. My bathroom scale reminded me of this fact when I weighed in back in July. So I decided to get serious about running again, and set a goal of running at least four times per week for a month. Within a few days I was hooked on running once more. My mind and body craved it on days I didn’t get out. Before long, I registered for two runs: The Midsummer Night’s Run (15km) on August 20 and the Scotiabank Toronto Waterfront Marathon, which I ran yesterday. Before this summer, I’d never really focused on speed. Two things changed that. First, I now use the Nike+ GPS app on my iPhone, which keeps track of my route and gives me updates on my pace at regular intervals. It also auto-publishes my time and distance to Facebook and Twitter at the end of each run. That comment made me angry that somebody could be so rude, but it also made me angry enough to want to get faster. So I started working on my pace. I improved from the awful 7:30/minute pace I started with earlier this summer — to the 6:20 pace I ran for the Midsummer Night’s Run — to the 5:30 pace I managed over 10km one week before race day. My original goal was to finish in less than 2 hours, 15 minutes. But after my speedy 10km the week before, I started imagining I might actually be able to complete the marathon in under 2 hours. My goal was to try to do the first 10km at a 5:40 pace, then assess whether I could keep it up for the last 11km. Unfortunately, the GPS on my Nike+ app failed for the first time and I had to do some math along the way to keep track of my pace. I spent most of the early part of the race passing other runners. Whenever someone passed me, I imagined I was attached to them with an invisible tether and I ran behind them at their pace for as long as I could. By the time I hit the 10km mark, I knew I was ahead of my goal and still had a chance to finish under 2hours. By 15km, I was feeling strong and knew I could do it. Then at 17km, my legs felt like they had nothing left to give. But I pressed on. But at 18km I started feeling dizzy so I drank some Gatorade and slowed my pace. I still managed to cross the finish line at 1 hour, 56 minutes and 15 seconds. That’s a 5:30/km pace, which I was very happy about! Others have commented on this already, but the finish line was very poorly organized. Instead of being able to cool down and loosen up, runners were forced to stand still for up to an hour and a half while they waited to claim their race bags. Standing in line for more than half an hour, on top of my light-headedness, led me to pass out and fall down hard. When I came through, I was surrounded by runners offering me water or bananas or Gatorade. I said I was ok and stood back up. Then I passed out and fell down again. When I came through the second time, I heard someone screaming for a medic. I was scooped off the ground, placed in a wheelchair and wheeled to the medical tent. I spent an hour and a half in there trying to keep warm while I lay on an incline so the blood could flow back to my head. By the time I got home I felt much better. And today, my legs feel strong. As I was driving into work on this morning in the glow of autumn sun, I was thinking how good it would feel to be out running again. Not another 21.1 kilometres for a little while. But there will be more long runs in my future. Maybe next year I’ll even attempt the full marathon. My son Bryson is a gift. His blue eyes and smile light up the world for everyone around him. After years of tests and zero results all we know is that he has a rare but undiagnosed genetic disorder. Almost five, he can’t play hockey or video games or hide and seek or all the other things that five year olds are supposed to do. He can’t even walk or talk or crawl. But he makes progress every day. Today’s big achievement was that he used a regular sippy cup by himself for the first time instead of drinking milk from a bottle. These are the moments that make me as proud as I would be if he had just scored the game winning soccer goal. Most importantly, Bryson is happy. And innocent. He’s never had a time out or been sent to the principal’s office or done anything mean to another human being. He is simply incapable. There are phases of mourning that you go through when you learn that your child is disabled. I’ve been through them all. I’ve arrived in a place where I feel okay about it, mostly. But once in a while something happens that reminds me that this world is not kind to those who are different. Tonight we took our two boys out for dinner to a new Thai/Japanese restaurant that opened around the corner. It’s all-you-can-taste: You order what you want from the menu and they bring it to your table. We brought a thermos of food for Bryson as it’s hard to find food he can eat in restaurants. We ordered our first round of food and it came quickly – Tom Yum soup, mango salad, sushi, green curry, coconut shrimp, and spicy octopus. The food was hot and fresh and delicious. We ordered our next round. Mango chicken came quickly. But 30 minutes later we were still waiting for more sushi and barbeque ribs. We asked our waiter to check on the order. Despite the wait, the kids were in good spirits. My seven-year-old son Connor was passing the time by inventing a new variation on Pokemon which he called Connormon. And Bryson was communicating with us from his wheelchair the only way he knows how – through songful, deep-throated vocalizations. Another 15 minutes later we asked to speak to a manager, who explained to us that the owners were trying to save on staffing costs and there weren’t enough people on duty to service the busy restaurant. I asked to speak to the person in charge. A few minutes later, a woman dropped by our table. Naturally, I assumed she was there to hear my complaint. She wasn’t. We were flabbergasted. 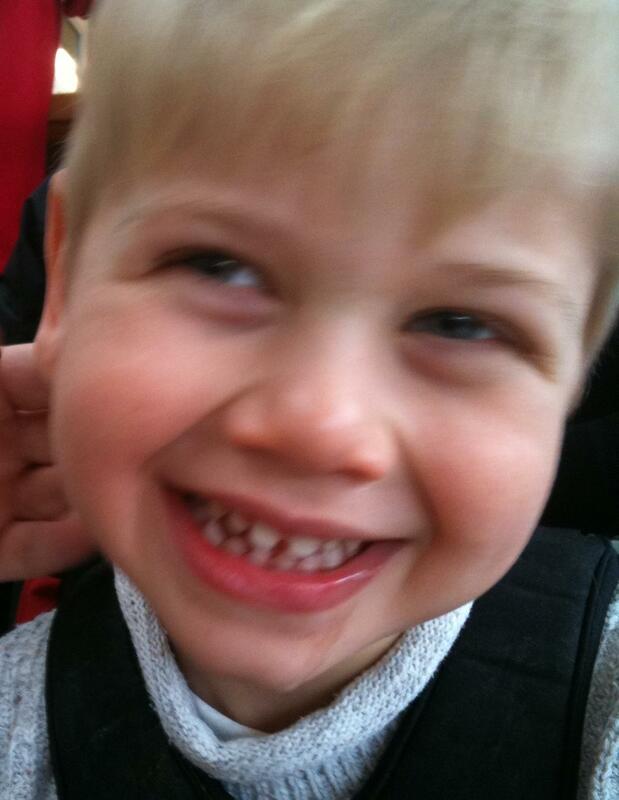 We pointed out what we thought was obvious – that Bryson has severe mental and physical disabilities and that we can’t just tell him to be quiet. “It’s more than one table that has complained,” said the woman in charge, before agreeing to expedite our order and put it in take-out containers. Fifteen minutes later the food arrived, along with the bill, which the waiter had discounted by 10 per cent. I paid the bill and did something I’ve never done before – I declined to tip. Before leaving I set out to find the most senior person in the restaurant. I told my story – not just about the food delay but also about the request that we shut up our disabled son – to a man who apologized profusely and offered to credit the entire meal. He also agreed to my request that the restaurant itself pay our waiter a $15 tip. For this reason, I’ll refrain from naming the restaurant here. We live and love Bryson’s differences every single day. Nights like this one remind me that there are people who can’t accept difference for a single meal. As Father’s Day approaches, my pledge to Bryson is to be by his side to protect him from the judgments of this world until the day I die. My single greatest fear in the world is that there will be nobody to protect him after my wife and I are gone. Today on RedBoard, Rogers corporate blog, we posted a list of our favourite videos of the year. I’m still very proud of the Next is Now video we produced with Thornley Fallis. Since I didn’t embed here when we released it, here it is for your viewing pleasure. Has the orderly Web replaced the chaotic one? Was 2010 the year the web grew up? In today’s Globe and Mail, Ivor Tossell writes (link not available) that — WikiLeaks, ChatRoulette and Anonymous DDoS attacks notwithstanding — this will be remembered as the year when order finally trumped chaos on the Web. Yes, the world was enthralled with Chatroulette in March but had abandoned it by April to return to Facebook and other more orderly social realms. The Denial of Service attacks didn’t work quite as well as we expected they might. And many of us who formerly loved Torrents and LimeWire and once believed that nothing digital should have a price now happily pay for music, movies and apps from iTunes because it’s simpler, safer and saves time. 2010 was a year in which the anarchic Internet of yore gave a few mighty trumpets only to be abandoned by a stampede in the opposite direction. … We have seen the future and it has a “Like” button. For those of us that grew up digital, the powerful truth that all information longed to be free was encoded in our DNA. 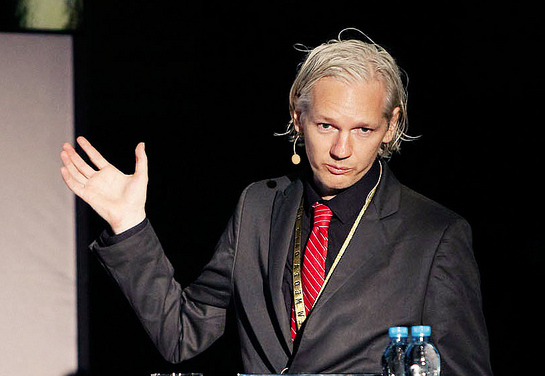 In 2010, Julian Assange and WikiLeaks have at least raised doubts about this myth. What do you think? Did the orderly Web replace the chaotic one in 2010? 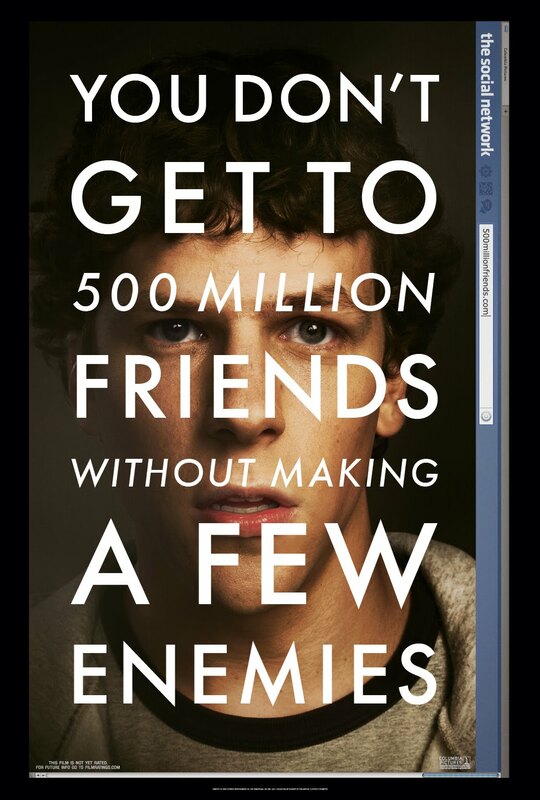 The Social Network opens today to rave reviews. I was lucky enough to see a sneak preview earlier this week thanks to Zaigham Zulqernain and Xavierpop.com. Is the movie worth seeing? Absolutely. This is truly a great film that is both timeless and perfectly grounded in contemporary history. Is it for everyone? Probably. Here are three things you should know and one thing you shouldn’t before you pay your $12. 1) If you’re expecting an Oscar winner you will be disappointed. The film has Oscar buzz and will likely get a nomination, but it doesn’t have the gravitas films require to win the Best Picture statue. The closest anyone comes to dying is riding a zip line into a swimming pool. 2) If you’re a fan of Aaron Sorkin’s West Wing-style banter you won’t be disappointed. The movie opens with a prolonged exchange between Facebook founder Mark Zuckerberg and his soon to be ex-girlfriend that is as good or better than anything from The West Wing or Studio 60 on the Sunset Strip. 3) If you’re expecting a blow by blow history of how Facebook evolved and innovated into one of the world’s largest websites with 500-million active users you will be disappointed. This is a character-driven drama that focuses on the tensions between Zuckerberg and his associates during the site’s journey to one million users. 1) If you go into the movie knowing that the Winklevoss twins are played by the same actor (Armie Hammer) you might be disappointed. I found myself thinking too much about the technicallity behind the Winklevoss scenes which took away from being correctly absorbed with the art of the film. When my uncle, my dad and I get together we invariably talk about the future of journalism. I worked as a newspaper journalist for one decade; my father and uncle combine at close to a century in the newspaper business. Recently we were discussing upcoming changes at the Globe and Mail, which will further entrench an evolution that began before I left the newspaper in 2007. Years ago, Globe editors made a decision that with 24-hour news channels and instant online news, delivering yesterday’s news in print didn’t cut it. A quick “what happened” story was great for the Web version, but editors groomed their reporters to focus on what it all meant and what would come next for the print article. 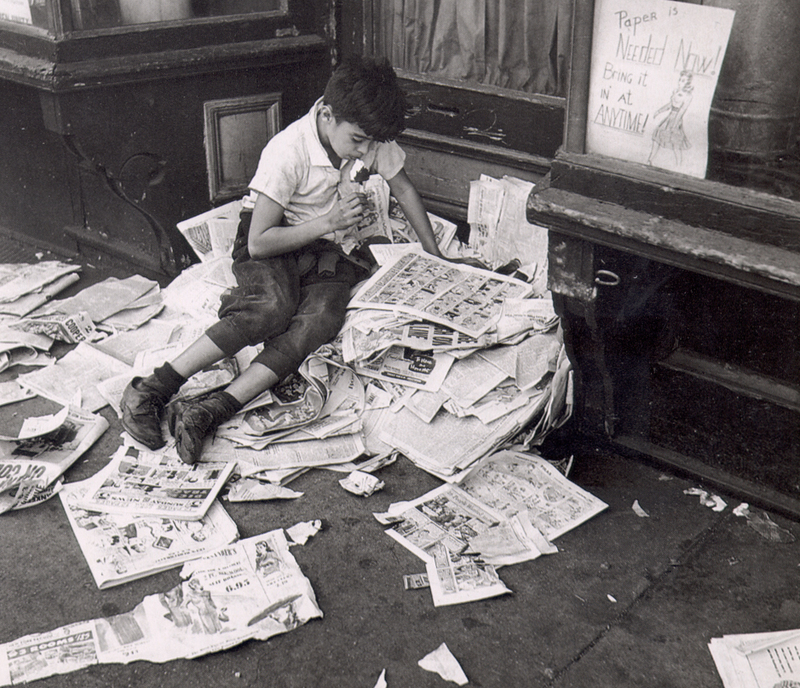 Which led my father, uncle and I to ponder whether “hard news” has any role in today’s print newspaper business. My uncle joked that I hoped to dance on newspapers’ graves; I conceded that I expect to see a day where newspapers are no longer printed on dead trees for daily delivery. My uncle made some great points about newspapers. They’re better than digital for skimming and quickly finding what you need. They’re light and disposable and can be read in bright sunshine – unlike the Globe and Mail app on my iPad. A few minutes earlier, my son had been thrilled to learn that his grandparents are taking him to Disney World this fall for a travel story my father will be writing for the Globe and Mail. But it wasn’t Mickey Mouse or riding Pirates of the Caribbean that made him most excited. It was the fact that the trip will get him in the newspaper. He’s been on Facebook and YouTube and Twitpic – and that was ok – but being in the newspaper would make him special. Famous even. Print still holds a certain cachet. Even for a six year old.